Marriage is the beginning of the time in which two people formally declare their intent to share the rest of their lives with each other. As such, the wedding is the perfect time for this era of cooperation to begin. Some people mistakenly think that the brunt of the work should be taken on by one half of the couple but this is not true. This wedding checklist for groom has been designed to help make sure that he is doing his part too. Thanks to the advent of social media and the common use of email a lot of people probably do not have the physical addresses for all of their guests. It is a simple job to gather all of them but it is important, so add it near the top of the groom to do list. It also comes with the added advantage of letting the groom check-in with all the guests to make sure they are all happy. Appropriate music is vital for any event and weddings are no exception. Whether you are getting married on some romantic island or in your home city this needs to be sorted out as soon as possible. A good band is going to be hard to find so book them early for guaranteed safety. The last thing anyone wants to do on their special day is to immediately start paying for things but it must be done, unfortunately. Suppliers need to be paid and a cheque will not always do. So wedding preparation for groom should include finding who needs to be paid and how much as well as creating labelled envelopes that can be easily handed out on the day. This one is vital for any groom checklist for the wedding day. It will always be tempting to put it off since standing up and speaking in front of that many people is no easy task. The key is to start making notes early and write down any ideas as they come. Then, these can be used to create a good speech that should be ready well before the big day. It is tempting to simply tell your guests who have to travel to stay at your wedding venue. This is a mistake. Different guests are going to have different requirements and your venue may not be suitable for all of them. Instead, the groom should compile a list of local places to distribute. It does not hurt to include details like their amenities and what public transportation options if any, are offered. This is one task on the groom to do list that really cannot be left to anyone else. The good news is that it is simply a matter of making sure everyone has something suitable. If they do not, then try and arrange a fitting time that suits everyone. Buying everything is only the first stage, items need to arrive safely. The groom can be in charge of knowing when everything is due to arrive, making sure it is signed for and knowing precisely where it all needs to go. The wedding does not end with the wedding and so the wedding checklist for groom needs to include what comes after. The first stop is going to be the honeymoon so once it has been decided where that will be taking place, it can be the groom responsibility to make sure that it actually happens. This is one of the items that is traditionally left to the groom and there is no reason why this should not be the case. If the groom is unsure about what to do, then he can always ask for advice from his partner. 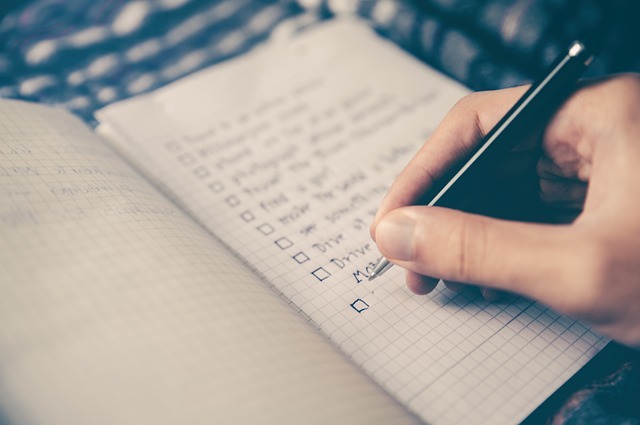 Discussing any item on the groom’s checklist for the wedding day is a good idea so long as the groom makes sure to actually do the task once the decision has been made. The sad truth is that there are people who will use a wedding as an opportunity to break into a house. The best way to avoid this is to ask a trusted neighbour to keep an eye on things on the big day. The groom should not invite anyone so they can look after the house but he should find someone that can be trusted.